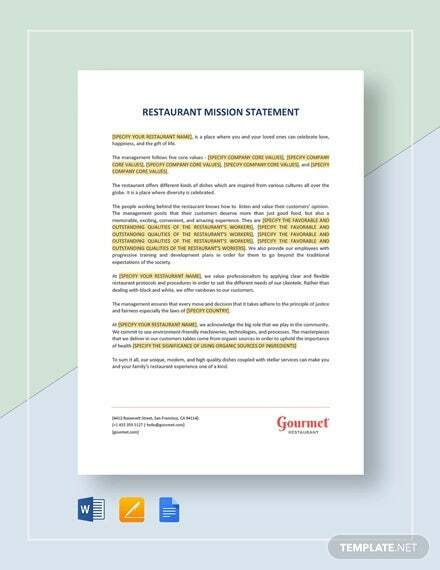 No organization can achieve their objectives or goals without a properly formatted mission statement. A mission statement samples should be a formal summary of an organization’s aims and values. And for achieving its mission, an organization must share its mission with the team members of various departments and they all must remain on the same page and work as a team. Only then a company can become successful. 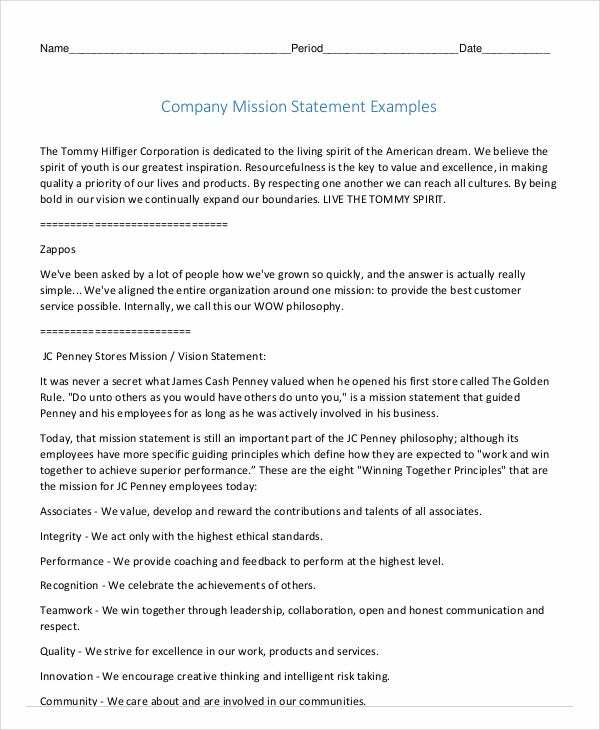 Following is a list of Sample Mission Statement Templates that you can go through to prepare the mission statement for your organization. 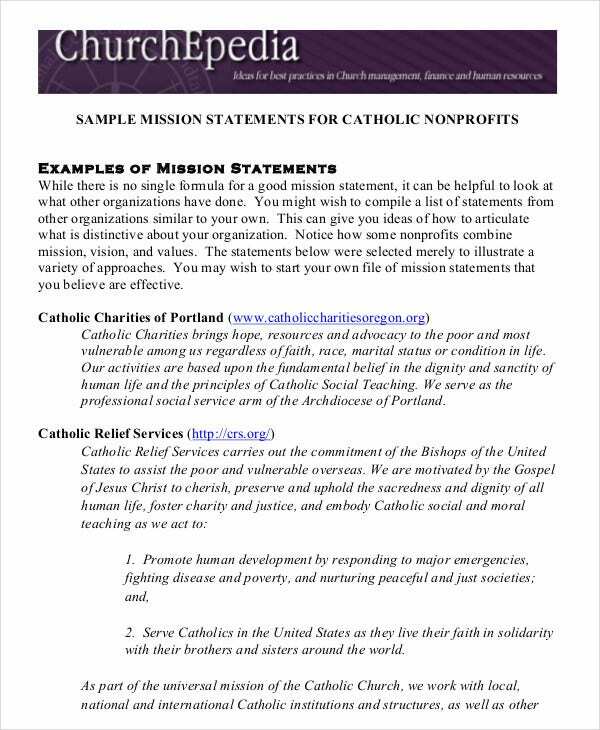 This template can be used for making a mission statement for a non-profit organization. 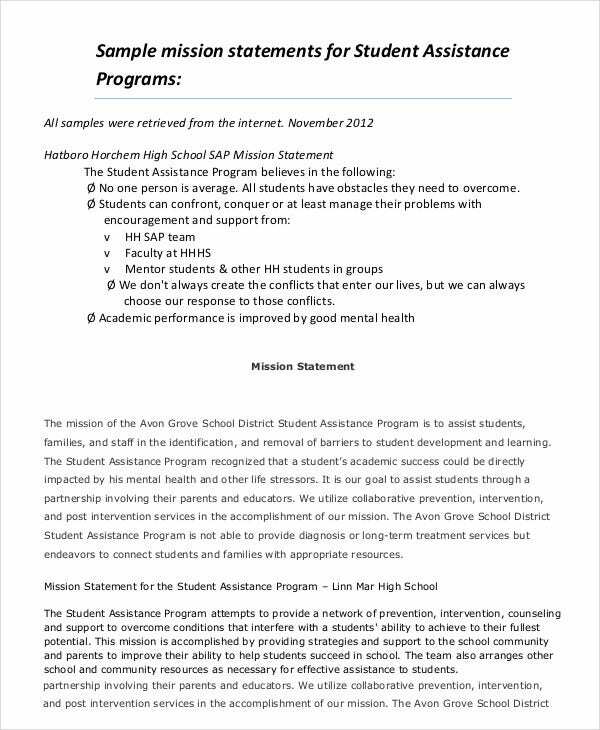 They require such mission statement template to spread across the goodwill of their organization and make people aware of their core values. To achieve any set of goals or targets, an organization requires a plan of action and this business plan can be their mission statement. They can use this template to prepare their business plan mission statement. > What Information Should An Ideal Mission Statement Contain? A perfect mission statement deals with both short as well as long-term plans of an organization and it should be conveyed in a satisfactory manner to put emphasis on the genuine hallmark of the organization. It should explain what this organization is all about and what are its areas of expertise. The kind of products and services that the brand deals with should be explicitly mentioned in the mission statement. The Mission Statement Templates of an organization should also put light on its targeted customers. The mission statement should echo the principles and ethics that the organization holds on to. Students need dedication and hard work to achieve academic success so that they can think of a bright future ahead. And to achieve all this, they need to remind themselves of their goals in life constantly. 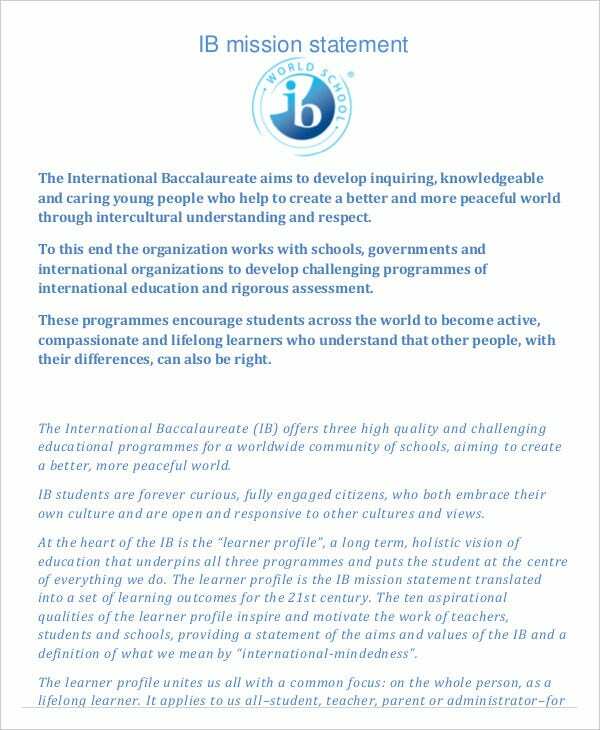 For this purpose, they can use this Mission Statement Template For Students. You can also see the Financial Statements. 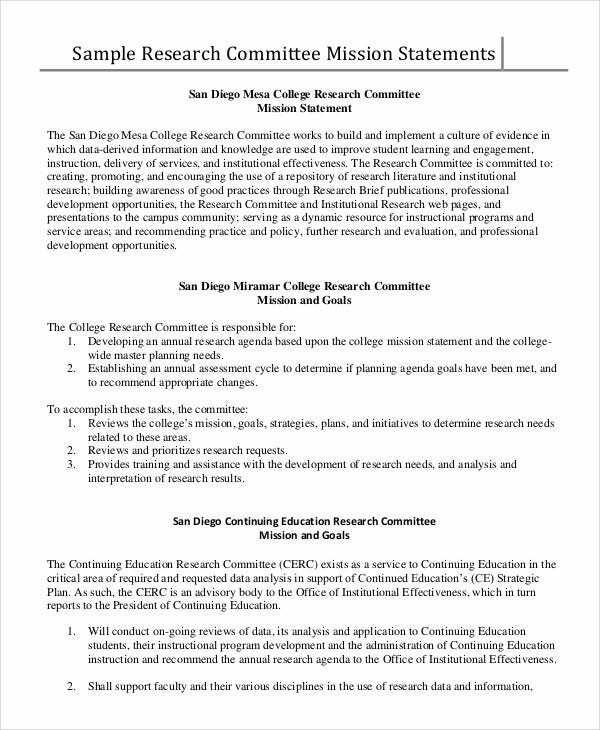 If you are a prominent member of a committee and looking for a mission statement template, you should take a look at this template. This is a fully editable and print ready template which you can use to a good effect. You can also see Bank Statement Templates. Any mission that you have taken up should be followed by a proper plan of action to be fruitful. The action plan should include the details of your goals and the means through which you are going to achieve those set goals. 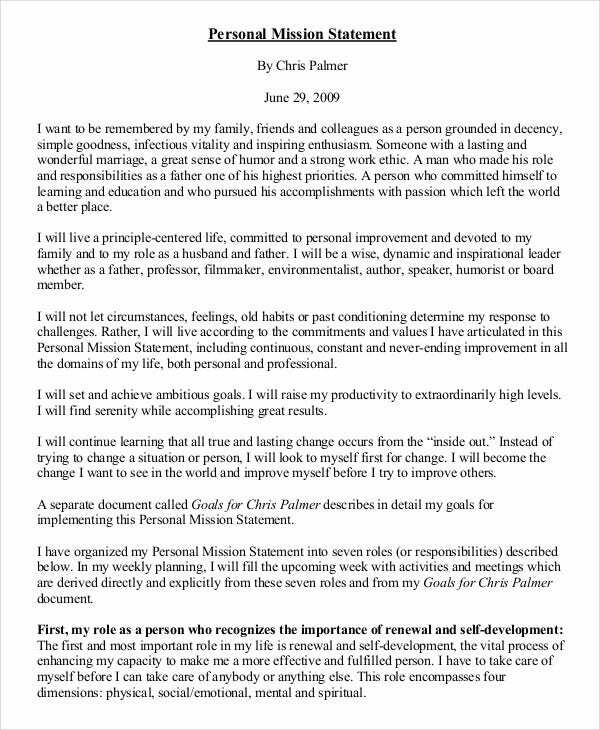 The Personal Mission Statement Template Example will empower you to reach this objective effectively. 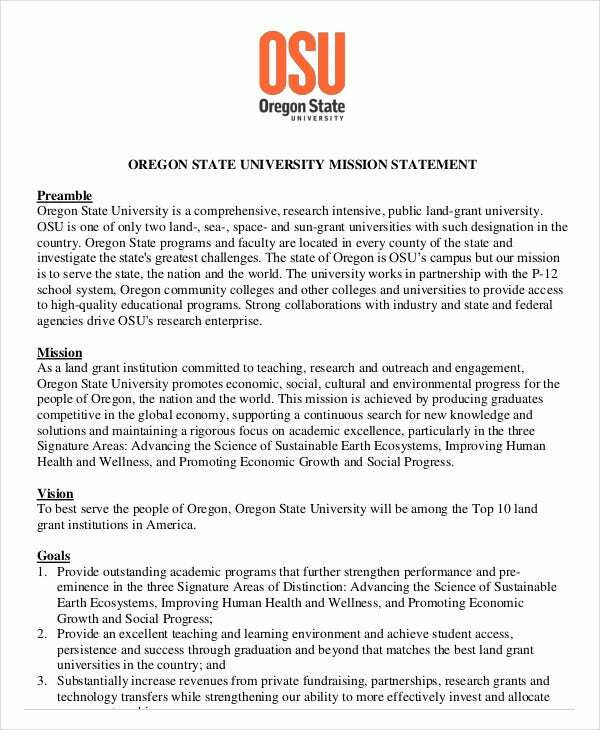 > What Is The Use of A Mission Statement? Ideally, the mission statement of an organization introduces it to others for professional purposes. 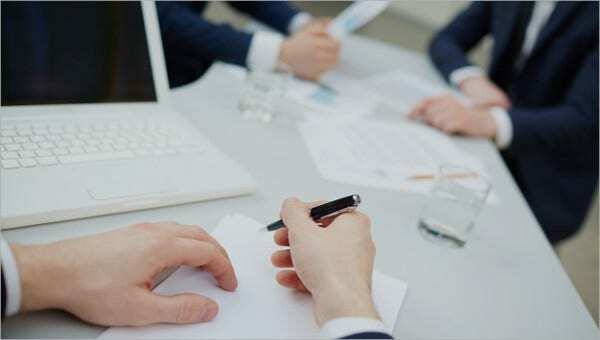 Any prospect investor will first have a look at the mission statement of the organization to get an idea of the organization. The mission statement should clearly define the identity of the organization. And one thing that you need to keep in mind is that the mission statement is different from the slogan of the company. You can also see Income Statement Templates. 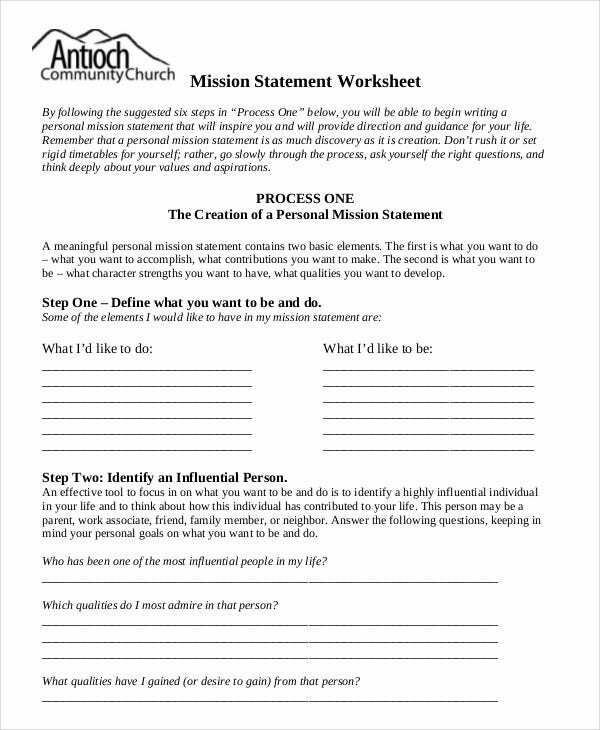 The mission statement templates as mentioned above will put you in the right perspective if you are confused about the concept of the mission statement. You can customize the ready-made templates or take inspiration from them to create your unique mission statement. 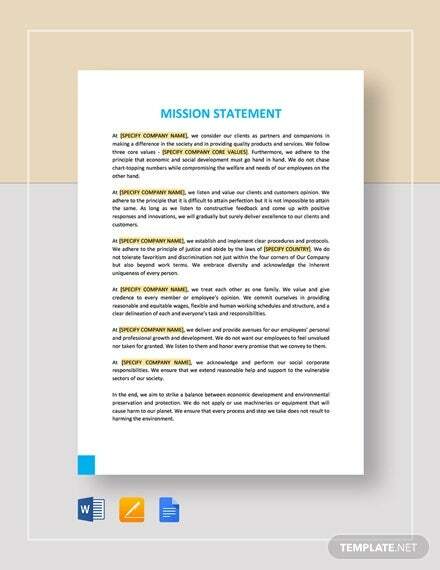 We have an extensive collection of mission statement templates on our website which you can go through. You should select the most appropriate mission statement template that suits the image of your company perfectly. 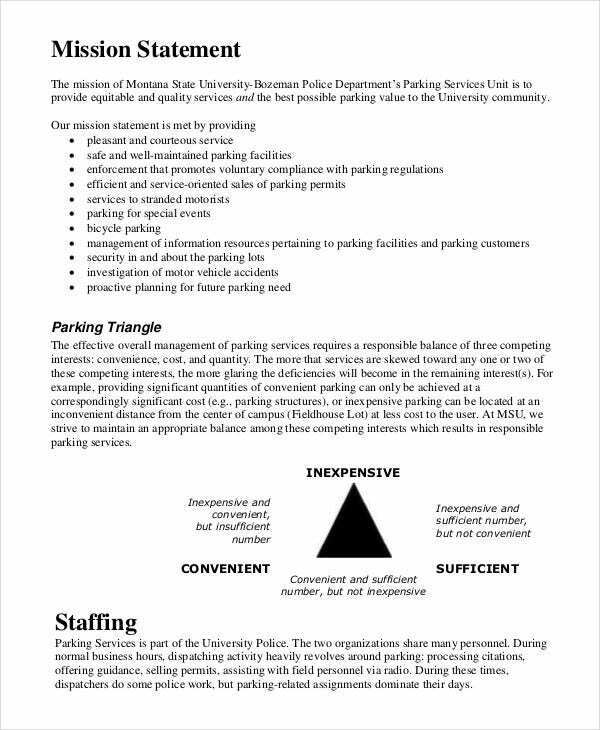 Mission statement, when formatted correctly with the usage of the right set of words, can do wonders in enhancing the reputation of your organization.